One of the amazing species from the Himalayas. 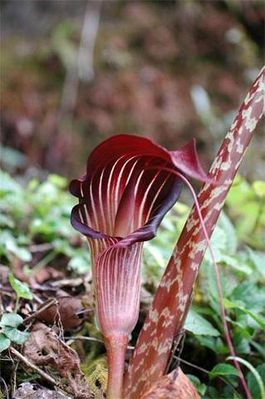 Spathe purplish-pink, violet and white with dark purple-red stripes. Spadix appendage upto 45cm long. The stems are intensely mottled and carries trifoliate leaves with red border. Hardy and easy to grow in half shade.